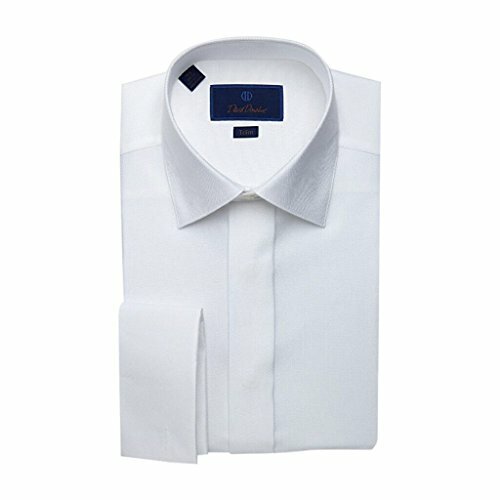 Premium quality tuxedo shirt for those who desire the ultimate in style and comfort. 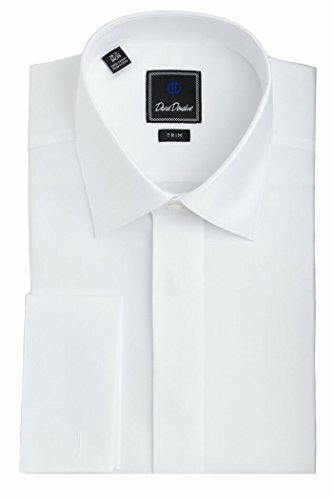 David Donahue shirts are produced using the finest long staple 100% cotton yarns, which provides a soft, silky hand. David Donahue is the brand of choice for the most discerning individuals. Founded in 1972 by two men in New York City, David Donahue offers the very best in clothing and accessories. Machine wash warm. Do not bleach. Hang dry, cool iron. Or dry clean.